This powerhouse facial is a cult-favourite, and for good reason. This is the facial for people who want results. First, we not only treat the surface of your skin. We go deeper to improve your skin at a cellular level. Second, your experience is 100% customised. No premixed products. Instead, we custom-blend our high-potency formulas to match your skin’s needs. Third, it’s about the proven delivery. We unite traditional wisdom with clinical know-how, advanced cleansing, peeling, massage, muscle stimulation, manual lymph drainage, hydration and the amazing benefits of Light Therapy. Your skin will look and feel luminous, soft and smooth. And we care. You’ll benefit from our caring and intuitive advice as we work with you, not just for you, to achieve radiant skin for the long term. Struggling with pigmentation, age spots, redness, rosacea, uneven colour or tone, or premature ageing? This bespoke treatment will deliver brilliant results. Intense Pulse Light (IPL) is a skin-boosting powerhouse treatment. It safely stimulates collagen and elastin production deep within the dermis of your skin. Boosting its elasticity, strength, softness and smoothness. 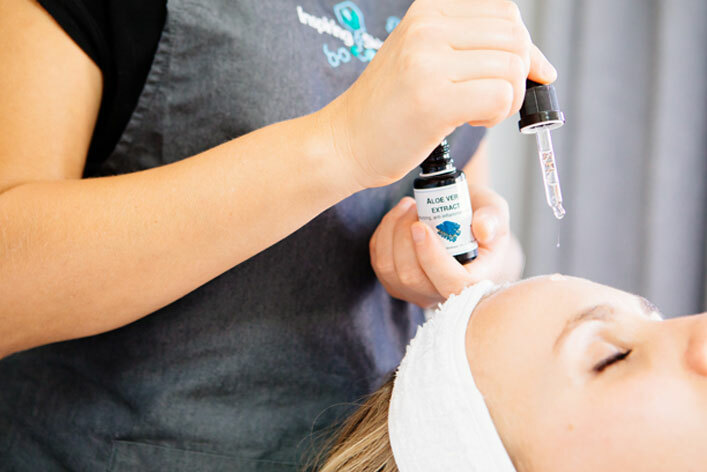 Combined with the remarkable effects our renowned Holistic Skin Health Facial and Light Therapy treatment, your skin will reap instant and long term rewards. This triple-duty treatment is ideal if you’re struggling with uneven skin texture, enlarged pores, congestion, scarring or premature ageing. Skin Needling is a gentle, safe and highly effective skin rejuvenation technique for optimum collagen deposition and skin regeneration. Combined with the radiance-boosting benefits of Light Therapy and our Cool Peel, your skin will be improved at a deep level, with long-lasting radiant glow. Need practical, no-fuss advice on how to improve your skin health? Our Skin Health Consultations and First Experience can help. We provide advice that is clear and easy to understand. Book your consultation with us today.